PEPLUM TV: Brad Harris, R.I.P. Last Tuesday, Brad Harris died at the age of 84. He was one of the 'muscular' PEPLUM stars that came from the US who made a series of movies in Europe. Brad often worked with director Gianfranco Parolini. After the genre died, he appeared in Spaghetti Westerns and a ton of Eurospy films. 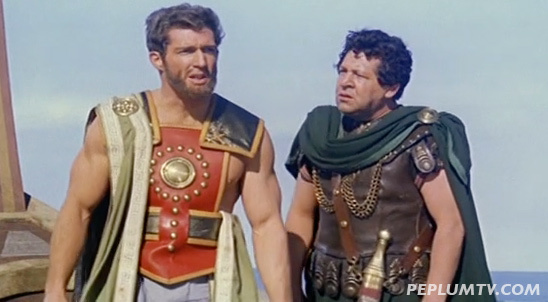 Brad also appeared in SPARTACUS (1960) but I still can't find him in that Hollywood production. RIP! 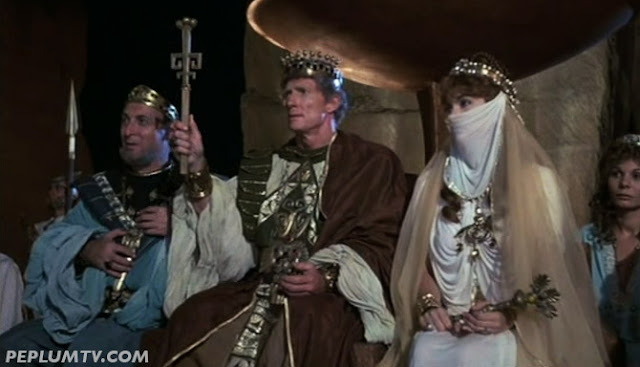 Above and below : Brad, as Goliath, with Gloria Milland and, below, Fernando Sancho. Fun, colourful film. Not bad for a first starring role. Brad played a variation of Samson in this Gianfranco Parolini production. Alan Steel co-starred and played Hercules, renamed Millstone in the English version. This time, Brad played Hercules in this Gianfranco Parolini film. Above and below : Brad with Mara Lane. This is, hands down, my favourite Brad Harris film. The story is almost non-existent but the film is gorgeous. Director Gianfranco Parolini surpassed himself with this production. Above and below : Jacques Breathier with Brad, as Simon. Another film directed by Gianfranco Parolini. Below is a clip from the movie I uploaded at PEPLUM TV. Brad played a King in this production from the 1980s. Brad co-starred with Sybil Danning and Lou Ferrigno in this PEPLUM version of SEVEN SAMURAI and the western, THE MAGNIFICENT SEVEN. Rip Brad Harris 79 AD is mine favorite too. Wow. So many of my childhood heroes are gone. Brad will be missed. Fantastic delts and biceps! There was a scene in the movie Li'l Abner (1959) which featured a group of musclemen including Brad Harris and Gordon Mitchell. I remember seeing a photo many years ago of them sitting on a table or in a group of chairs which featured Brad, but I cannot find a copy of it. Perhaps one of our membership has it? He was one of my favorites. May God bless him.